In the village, two lodgings in the same House as the owner. Entrance on the ground floor. Pleasure garden, garden and common children's games. 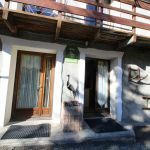 Nearby: shops and services, ski slopes, circuits of hiking, mountain biking, fishing... The cottage has a living room (1 sofa bed 2 pers) with kitchenette, microwave, washing machine, 1 bedroom (bunk beds 1 pers. 2), shower room, wc, electric heating. This single-level gîte offers ground level accommodation. Rooms, bedrooms and bathrooms are all situated on the ground floor. There is easy access and movement within the lodging. The gîte is particularly suitable for young children and handicapped persons. There is one step at the entrance. Some of the most famous sporting events have taken place on the Southern Alps roads and tracks (Tour de France, Critérium du Dauphiné Libéré, French mountain bike championships, Worldcup, etc.) and the region is nowadays known as a bicycle paradise. The marked itineraries for both mountain bikers and touring cyclists make it a pleasure accessible to everyone. Your hosts make your stay even easier by providing a storage room for your equipment, a repair kit and information. There is no shortage of water in the Alpes du Sud with its numerous dams favourable for swimming, boating and fishing. Serre-Ponçon Lake at the confluence of Durance and Ubaye rivers, at 3000 ha, is the largest artificial lake in Europe, Embrun, le Sautet, and the many rivers and torrents: Durance, Clarée, Buëch, Guisane, Drac, Blanchem Méouge, Blaisance and Avance. 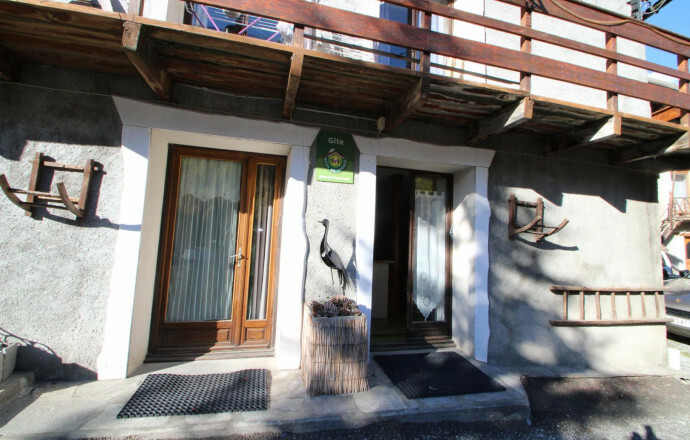 Local activities: Organised around the villages of Aiguilles, Abriès and Ristolas, the Haut-Guil region offers numerous open air activitiese: hiking, mountaineering, Nordic skiing and downhill skiing. The region is situated in Queyras Regional Park. Places to visit: Visit the village of Aiguilles, its 19th century villas, the small valley of Peinin and its chalets, the hamlets of Valpreveyre and Le Roux, Les Thures valley, Cézanne valley, Lacroix pass and the passage to Italy, the hamlet of Echalp and the Viso belvedere. The calendar is not available for this accomodation. We invite you to contact the owner for availability. PROMO-20% for the 1st week July and last August Learn moreBooking of the week from 1 to 8 July and the week of August 26 to September 2, we grant you a discount of 20%.